A version of this article originally appeared on Haulix Daily. Move over, Periscope. 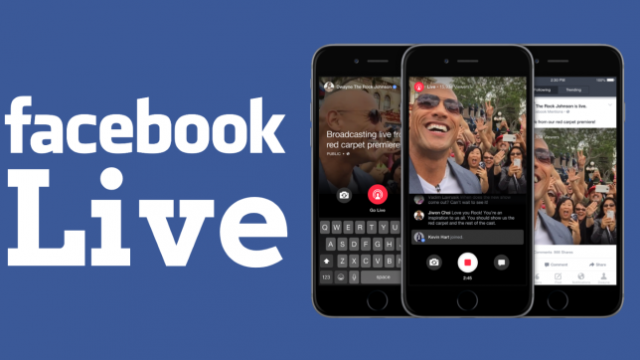 Facebook has its eyes on being the leader of live video broadcasting online and some would argue they’ve made it there already with Facebook Live. Made available to the public in early 2016, Facebook Live brings all the immediacy of Periscope and similar live broadcast applications to one social media site even your grandma knows by name, thus further eliminating the need for anyone to ever go anywhere or use anything else. Getting started on Facebook Live is easy, but making the most of your time spent broadcasting is another task altogether. These tips will help. Facebook Live is available to anyone with an account and a decent internet connection. Before going live, make sure that you have a fast enough connection to broadcast high-quality live video, which generally means using WiFi or 4G. If these needs aren't met, the "Go Live" button won't activate and you'll be unable to broadcast. Until you become Beyonce-level famous, you're going to need a good plan for promoting every step of your career, including live broadcasts. Lucky for you, fans want more interaction with you, so promotion for these shows should be fairly straightforward: set a date and time for your show, tell people when it’s happening, and remind them regularly until (and while) you’re live. Since anyone can use Facebook Live, many people do use Facebook Live, so the competition for attention can be fierce. Facebook recommends broadcasting for a minimum of 10 minutes before you decide whether or not to remain online. Promotion will help get some people to your show on time, but others will arrive once your broadcast has already begun. See how things develop before you decide whether or not to continue using Facebook Live for your outreach. People like to be recognized. Let your fans know they're more than just another supporter to you by using their names when you're responding to comments during your show. The biggest mistake you can make as an artist or brand when using live broadcast apps like Facebook Live is to go in without some form of a plan. Fans want to know what they’re going to see, and you should know what you’re going to share. You should also leave room for the unexpected, as you never know what may happen in the moment, but you need to start somewhere that's going to hook people before your broadcast even begins. Maybe you promote a Q&A with your bandmates, or maybe you share an acoustic performance from your practice space. Figure out what your fans want to see and promote their opportunity to see or experience that thing through Facebook Live. Have you used Facebook Live yet, or are you planning to? Let us know your strategy in the comments!